Vitally supports assigning each customer a Customer Success Manager (CSM). The Customer Success Manager for a customer should be the person at your company responsible for the relationship with that customer. As you navigate Vitally, you'll see a My Accounts link in the bottom left. Clicking that link will filter all displayed data to only that belonging to your customers. The CSM for a customer will receive notifications from Vitally about changes to the customer's status, including new indicators. That way, your Customer Success team can proactively intervene and find ways for your customers to be successful. When creating a indicators (see rules), you can choose to assign alerts to the CSM for that customer so that the CSM is immediately alerted to issues at the account. When Vitally sends data to your other connected systems via Zapier and Segment, the data sent includes the CSM for that customer. That allows you to trigger workflows in those other systems that are CSM aware. For example, you could send a Slack alert directly to the CSM or trigger an email from the CSM so that the customer is always messaged by the same person. To add a CSM to an account, either select the accounts you'd like to edit in the Accounts view or navigate to the account's dashboard. Click the CSM icon and select a team member. 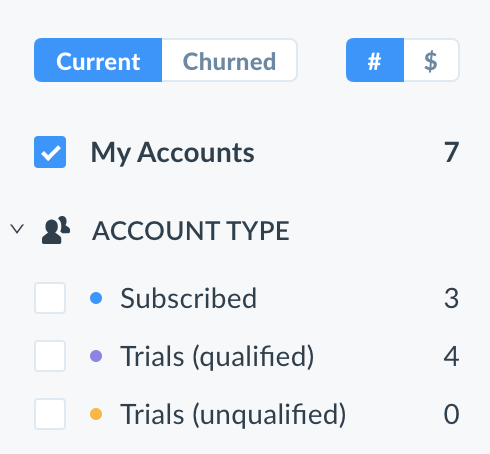 You can also leverage our Rules feature to auto-assign CSMs to accounts that meet configured requirements. Read our doc on rules to learn more.